For more information about the program, transfer credit, etc., visit the Medieval and Renaissance studies program page. The minor consists of at least five courses selected with the approval of an adviser belonging to the MARS faculty. Courses should be selected from the list below and must include a course in history. At least three different disciplines should be represented. French, Italian, and Spanish are considered to be separate areas of study. Additional courses (notably topical seminars) may be accepted upon petition. It is the responsibility of the student to recognize that certain courses might require departmental prerequisites for which he or she would not necessarily receive credit toward the MARS minor. Only one independent study course and only one non-Colgate course will be counted toward the minor. Courses that are appropriate for the MARS minor are sometimes offered as part of the university’s Venice study group program. At least three courses should be at the intermediate level and at least one should be at the 400 (seminar) level — either an existing seminar or an independent research paper. Senior seminars and honors thesis courses in any department could provide a place for the student’s capstone experience. 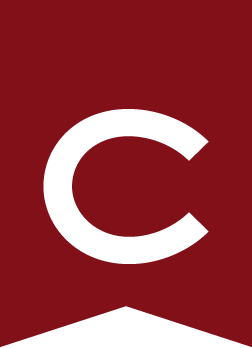 One year’s study of Latin at Colgate is recognized as one course toward the minor. While there is no mandated language requirement, it is strongly recommended that students considering graduate school in a medieval or Renaissance field should study Latin at least through the intermediate level. Students are encouraged to explore early literature in Old and Middle English, as well as early period courses in the foreign language departments.